Oh, there is so much to learn before I fly south for the very first time! Got to stick my landings. Grip limbs and fish. Avoid bald eagles. I am one very determined female osprey fledgling! 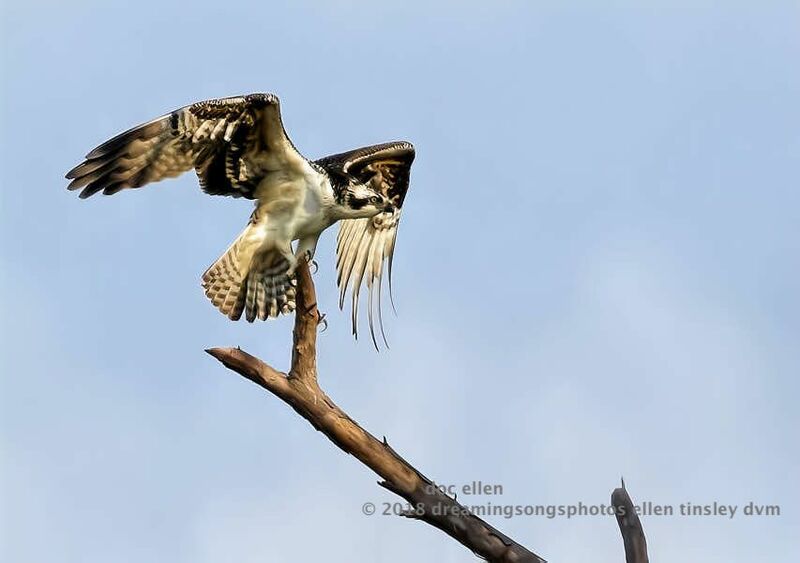 Posted in birds, Jordan Lake, Jordan Lake State Park, photography, raptors, wild birds and tagged as female osprey, immature osprey, Jordan Lake, Jordan Lake State Park, osprey, osprey fledgling, ospreys of Jordan Lake.